Environmental groups, Governor Lujan-Grisham, and even Public Service Company of New Mexico want us to believe that their plans to rapidly increase renewable energy are cost-competitive. New Mexicans voted for change in 2018 and, as a result, there are legislative initiatives to raise the State’s “renewable portfolio standard,” or RPS, from 20 percent to 80 percent. Unfortunately, what voters haven’t been told is that this extreme expansion of the RPS will dramatically increase our electric bills. In order to make way for rapid expansion of the RPS and bolster shareholder profits, PNM has decided to shut-down the coal-fired San Juan Generating Station near Farmington more than 30 years early. 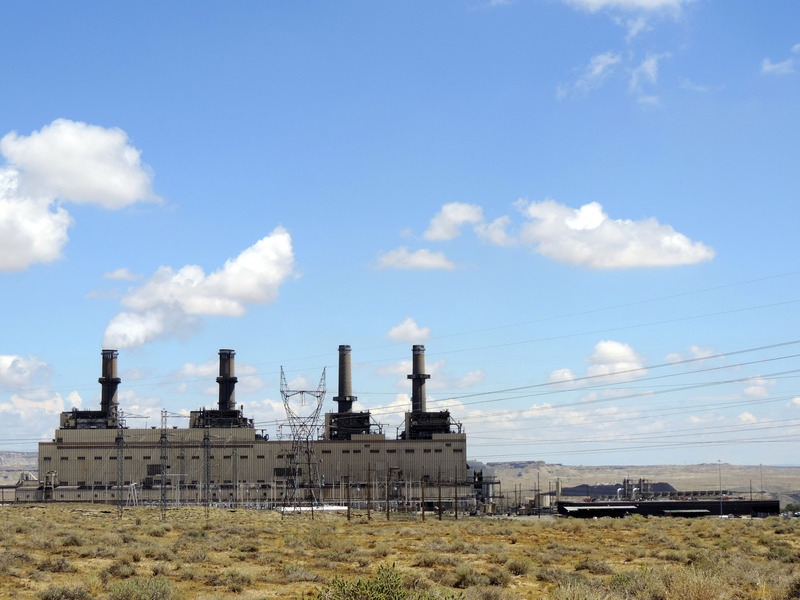 For the last 50 years, PNM has credited this plant at the PRC as the reason why PNM has been able to provide New Mexicans with low-cost power for the last 50 years. The plant was also just retrofitted, at a cost of $635 million, to remove more pollutants from its emissions and is now one of the cleanest plants in the country. PNM even admits that closing SJGS will increase our electric bills. Despite price declines in wind and solar, we believe the replacement of a coal-fired power plant with a combination of wind, solar, and gas (supplemented by battery backup with unproven effectiveness at large scale) will not be cheap. A 2016 study produced by the Foundation estimated that from 2011 to 2020, New Mexico’s RPS would cost rate payers an astonishing $2.3 billion above and beyond what they would otherwise pay for electricity. We stand by this report and note that other sources indicate New Mexico’s electricity prices rose about 30% since the RPS took effect in 2005. This increase is attributable to the RPS because it occurred at a time when the prices of traditional electricity generation sources, like coal and natural gas, have declined. The cost of switching to “cheaper” sources of renewable electricity shouldn’t be borne by ratepayers or taxpayers. One would hope that Governor Lujan-Grisham, the Legislature, and PRC share this view. After all, they represent average New Mexicans and ratepayers, not just utilities and environmental groups. One other thing that needs to be considered is the economic viability of the Four Corners area of our State. We at the Rio Grande Foundation embrace free-market economics and have no qualms about market corrections and corresponding impacts. But closure of SJGS is different. PNM is shielded from market corrections because it has a monopoly over its customers and a guaranteed rate-of-return. In exchange, PNM is bound to provide customers with reliable low-cost electricity and to conduct its business in a manner that is not detrimental to the public interest. Here, not only does PNM admit our bills will increase, but PNM’s actions are also detrimental to our state’s budget. If the market truly is pushing PNM towards other electricity sources, policymakers, taxpayers, and ratepayers should welcome that transition, but they shouldn’t be forced to foot the bill in case their assertions prove to be wrong. Is this a contractual obligation? If our legislators require 80% renewables (absurd! ), and this energy is far more expensive and unreliable (it is), then shouldn’t the ratepayers, who also elected these idiot legislators, be required to pay for said mandates? Otherwise, we may as well be Puerto Rico, put PNM into bankruptcy. Won’t the consequences of paying in full for their own “green mandates” do more to convince these fossil fuel abolitionists, than (even your beautifully well reasoned) policy papers? Nothing like a $500 electric bill on a small home, to focus the minds of voters on free market principles. I remember reading a Der Speigel article from 2013 describing Germany’s descent into green energy madness, and how it cost them over $20 billion to produce $3 billion worth of energy. Having sacrificed their nuclear energy industry, they’re now turning to Russia for essential fossil fuels, and German voters have discovered that Winter is Coming. In addition, I think Paul has lost his mind: “The cost of switching to ‘cheaper’ sources of renewable electricity shouldn’t be borne by ratepayers or taxpayers.” This is the position of the radical environmental group, New Energy Economy (NEE), in Santa Fe. Well, Paul, who else is going to bear the costs, The Tooth Fairy, as Milton Friedman would have asked? In a totally just world, the costs would be born by the environmentalists who advocate renewables. They would all join PNM’s Sky Blue program and the rest of us wouldn’t have a renewable rider on our electricity bills. Ha! In the real world, if PNM is forced to write-off the stranded costs of the pollution equipment that was mandated by the EPA in Washington, close and write-off the coal-fired SJGS as mandated by NEE, and then NOT charge for the extra cost of renewables, the company will declare bankruptcy. No dividend payments, no interest payments and the rating agencies will lower New Mexico’s bonds to junk status. NEE will push for the state to take over ownership of PNM, thereby converting the company from an evil, exploiting investor owned utility to a socially just, publicly owned utility. Renewables will then go to 100 percent and our electric bills will drop because renewables are the cheapest option out there, according to NEE. And I have a bridge I want to sell you. Ann, it looks like the RGF has been co-opted by NEE. Say it ain’t so, Paul! In looking at the legislation that will enable this madness it is clear to me that they are looking at ways to make the rising price of energy look less dire. For one thing they are looking to set up PNM and (in southern NM) El Paso Electric as the fall guys. They will allow PNM and EPEC to take out huge loans to finance the construction of unreliable renewable farms that will pay out over many years. So the first year will be a minor inconvenience, the second year twice as much, etc. I am keeping copies of my electric bills to be able to track how our rates are impacting our communities and to hold these ideologue politicians’ feet to the fire when this all begins raising our rates dramatically. According to some accounts when the actual % or renewables exceeds a mere 5% the costs of integration of this unreliable power into the rest of the grid begins to skyrocket dramatically. We are currently right on the verge of crossing this 5% threshold now. Things will get much worse very quickly if this plan is actually hatched. What would be way to pragmatic would be to replace the old dirty coal with natural gas and maintain the existing grid infrastructure without having to add transmission lines. Then in 10 years, we will be in position to replace the natural gas with advanced nuclear reactor, again with the same grid. I guess that is just to logical. We will need an equivalent time to convert again, given the foolishness of generating electricity with unreliable sources that cannot be ramped up or down based on need and use. Utility regulation is a balancing act in which utility companies factor long-term depreciation into their rates to spread their capital costs over decades. This makes utility companies a safe investment while minimizing rate hikes. Political decisions to write off assets prematurely upset this balance. Making utility companies a political whipping boy and environmental ATM will result in bankruptcy, as we are seeing in California.